Confessions from an "Opportunity Junkie"
My name is Christina Smiley. I started my business in a nationally renowned ski resort area destination in a small town with a population of around 25,000. Just try to make a decent living in a place where the usual job prospect would be ski lift operator! Fortunately, I am now blessed to live in a nice neighborhood of hard working class people who are all extremely curious about what I do for a living that affords me the opportunity to enjoy the lifestyle I am fortunate to lead. Not bad for an average person that was in debt up to her eyeballs just a handful of years ago! And, for the record... I am a real person. My judgment recovery business consists of myself and a few employees. I have arrived here after traveling down a long, toilsome road peppered with many disappointments and failures. Even though it's a bit of a lengthy tale, I'd like to share my journey with you, so you'll know and understand just how far I've come, and how I got to where I am today. Years ago I couldn't have imagined writing this because for so many of those years, I was a sucker for "opportunities." Yes, folks, they saw me coming a mile away. I have several "get-rich-quick" programs quietly gathering dust out in the garage somewhere... At the time I was convinced there had to be a better way, but the real solution kept evading me. Lord knows how much money I gave away to other people getting rich off of their schemes. Chances are, you've been through the same thing and now harbor massive skepticism towards someone like me. Hopefully we can get past that. At about the time my third child was on the way I realized my combined family income was still not enough to get by on - especially when taking the cost of childcare into consideration. I also felt our kids deserved a "real" home rather than daycare for 10 hours and parents at home who are so exhausted and stressed out from the work day we couldn't even give them the time and attention they deserved. And besides - who wants to work till they're 65, making someone else rich, and then finally have the limited freedom that typical retirement benefits can offer? And while the pay from my job was "okay," there was just never enough check at the end of the paycheck. But it was really my "Retail Prison." Despite the fact that our partner already had a successful carpet store at another location, our start-up costs were huge. Imagine paying $50 for a measly carpet sample! And we bought hundreds of them. I hired a receptionist who spent the afternoon talking on the phone to her boyfriend. In reality I was chained to a retail prison, driving 3 hours a day over a snowy mountain pass at 20 miles an hour in an old oil-burning Subaru. Sounds like I'm laying it on a little thick, doesn't it? I swear to you it's all true! As you can imagine, or probably even relate to, I accumulated monstrous debt, a second mortgage when I couldn't even afford the first one, and all my credit cards were at or over the limit. I was truly only a few paychecks away from being bankrupt - or worse - homeless. Something had to give! I had no idea what I was going to do about it, but I was getting pretty desperate. Here's an amazing revelation: the answers to problems often come from where you least expect to find them. It was at about that time I made a trip to visit my cousin. What she was doing amazed me! I knew she'd been working as some sort of paralegal before, but the income from that was just paying the bills. Well at the time of this visit, she was doing quite a bit better. When I asked her to explain how it was she'd suddenly become so successful (I'll be the first to admit - my opportunity radar went into overdrive), she began to tell me about how she'd expanded her paralegal business to include processing and collecting civil judgments that had been awarded in court. She explained there was virtually no one providing this service in her area. Furthermore, once people had been awarded these judgments that most of them were never collected. I simply couldn't believe it! (Ever the skeptic...) Then she showed me all of her case files and how she went about collecting these judgments. I ended up staying there for another two weeks, just so I could lurk around in the background and see what she was doing. Bursting with knowledge and enthusiasm, I came home, determined to make this work for me. Believe me - when I'm enthusiastic and motivated it is an awesome and powerful thing! I made my very first trip to the courthouse to research case files, found a lot of judgments among the records that had not been paid, and then sent some letters to the people who won the judgment but still hadn't seen a dime. Getting the judgments to collect was easy! Before I knew it, I had over 50 cases to work on. I know I'm making this sound very simple, but honestly the real work was ahead of me. Sure I had a ton of judgments to collect, but I really had no clue about where to begin with them. It took an enormous effort to figure it all out and uncover all of the little known procedures buried in the civil laws. Fortunately for you, I've made all of the fruits of my labor and my knowledge available to you so you can benefit from my hard-won experience and avoid all of those nasty pitfalls and obstacles I had to figure out on my own. Before too long I began to contact small businesses in my area who really needed my help. These people were happy to give me multiple cases to collect and were more than willing to let me keep half of what I collected. I began getting referrals from people I'd never heard of before, including paralegals and even attorneys in our small town. They were literally coming out of the woodwork. I discovered this is the "Big Secret." I found a serious need - a true niche - and filled it. People really need this help. They are just not able to collect these judgments on their own, and without my assistance they'd never see one thin dime of the money owed to them. Soon I had more business than I'd ever thought possible. For me, money began to pour in, and I was helping others at the same time. Financial independence is now a reality. Can somebody pinch me, please? I hope you will devote every one of your brain cells to fully grasping the concept of this business. I want to help YOU succeed too... I certainly hope you'll make the decision today to be successful in your own judgment recovery business. I'm looking forward to helping you, every step of the way. PS - Thanks for reading my story... If you want to pick up where you left off, reading about the training program, just CLICK HERE. Christina Smiley is a multi-decade year veteran of the judgment recovery industry. After setting up shop as Sierra Judgment Recovery in South Lake Tahoe, CA, she pioneered professional industry training for both lay persons and professionals in related industries. Her range of experience in this field encompasses practical, hands-on enforcement of civil judgments; and consultation, training and support for both small start-up companies, as well as companies seeking to scale their existing businesses to manage higher volume. In 1999, Christina was instrumental as a co-founder of the California Association of Judgment Professionals, and served on the Board of Directors as the Continuing Education Director for four years. She has been a featured speaker at many functions, as well as a panelist speaker, with Richard L. Enkelis, for the California State Sheriffs' Association (Civil Division). 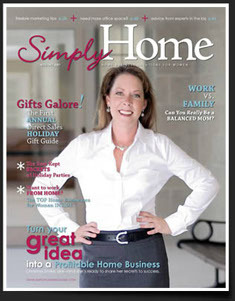 Christina has been featured in several magazine publications, including Entrepreneur, Home Business Connection, Cutting Edge and Simply Home. In 2005 she relocated to southeast Georgia, where she continues to collect judgments as well as provide quality judgment recovery training, solutions and support. She recently launched an asset research division which provides asset location services to judgment recovery companies, attorneys, registered process servers and individual judgment holders. Her personal interests include fishing, motorcycle riding, front porch sitting, riding the golf cart around town and the regular over-indulgence in fabulous Southern BBQ and other Coastal Georgia goodies. of the full training program. Hours of Operation: Monday through Friday; 8:00 am to 5:00 pm Eastern time. We are closed for all major holidays.